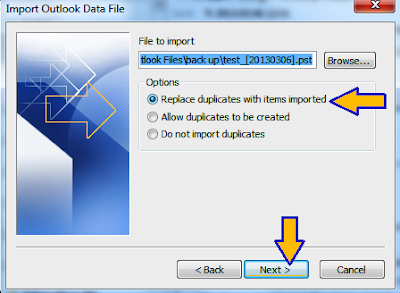 How to restore Outlook data from selected PST backup file? 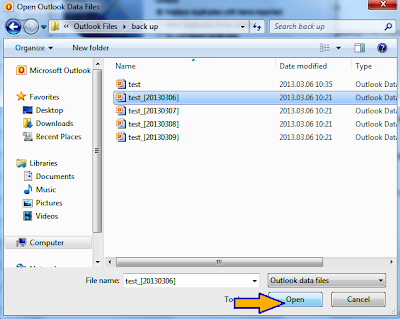 The following steps show you how to simply restore Outlook data from a selected backup file on a new or existing computer. 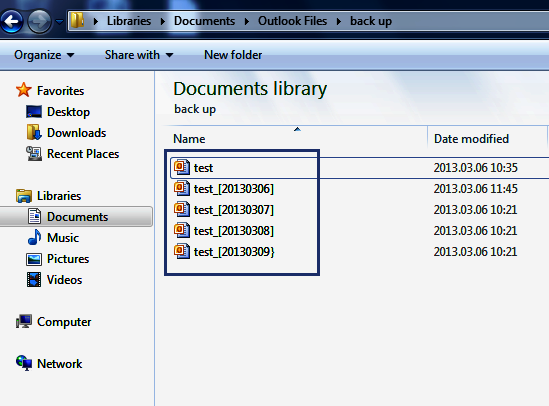 New Safe PST Backup feature allows creating new PST files after each backup. This way you can restore Outlook data from the selected backup history point. 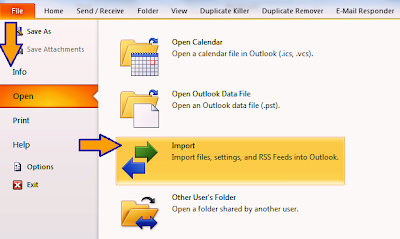 Locate a backup PST file(s) on the computer and use Outlook import/export wizard to restore the data. In this case, the backup files are located in User Documents->Outlook Files->Back up folder. To start the restore process, launch Outlook. 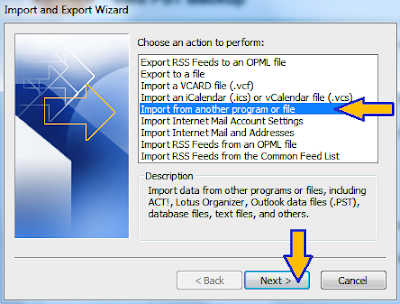 Click File->Open and select "Import". The Import and Export Wizard will pop up showing the list of actions. 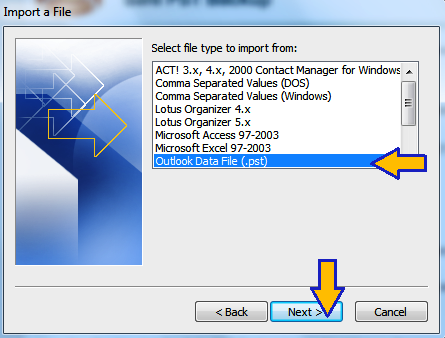 Select “Import from another program or file” and click “Next”. In the next step you have to choose a file type to import. Select “Outlook data file (.pst)". In the new window, you have to choose the backup file to import into Outlook. Click "Browse" and select the location where all the backup files are stored. If you are using the newest Safe PST Backup version, you can have several backup files created. Choose the file you want to import and click “Open”. 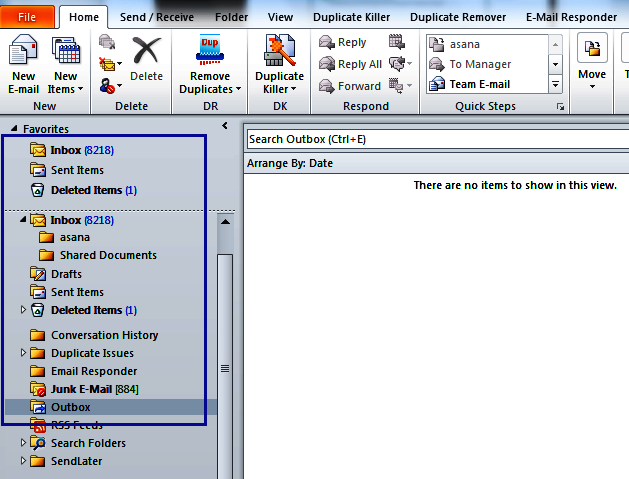 Choose an option “Replace duplicates with items imported” and click “Next". 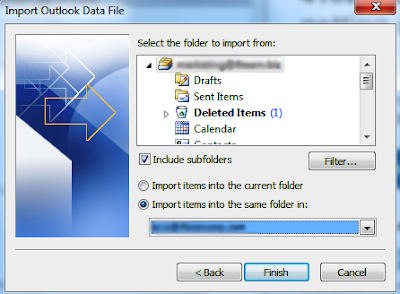 Select the Outlook folder you want to import, check the box "Include subfolders" and click “Finish”. 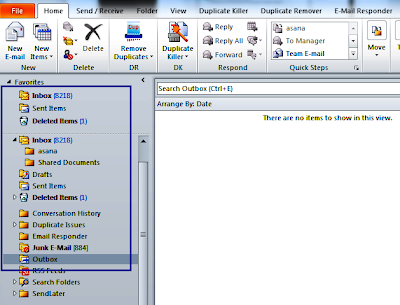 Open your Outlook to review the result. As you can see, the data from PST file has been successfully imported.